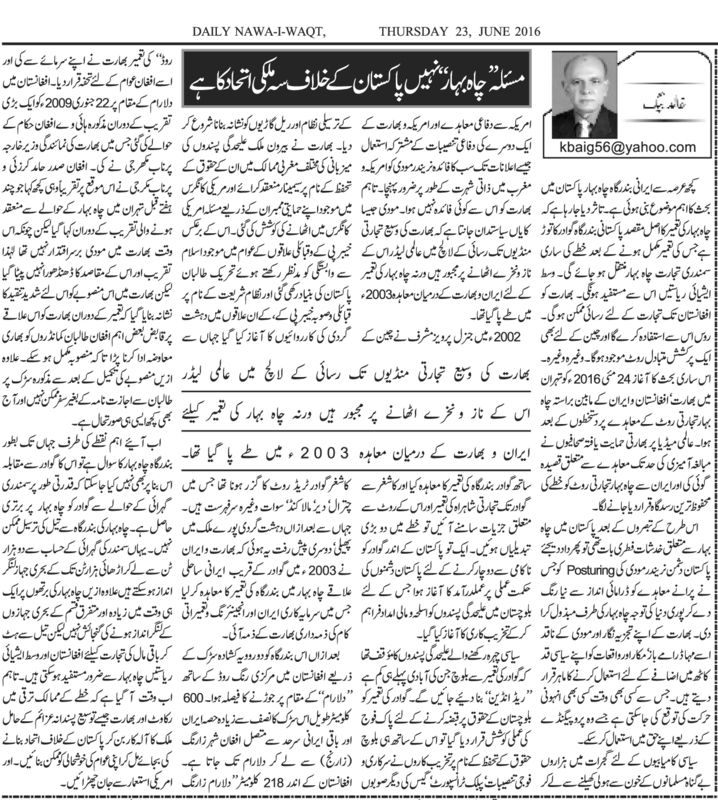 Truth by Kbaig: The Problem is the 3-Country Nexus Against Pakistan Not the Chabahar Port! The Problem is the 3-Country Nexus Against Pakistan Not the Chabahar Port! Prime Minister Narendra Modi with Iranian President Hassan Rouhani and Afghan President Ashraf Ghani in Tehran. Iranian seaport Chabahar has been point of discussion in Pakistan. It is being posed that this port would decrease the importance of Gwadar port and proves a substitute for Gwadar port due to which the whole trade would shift towards Iran. 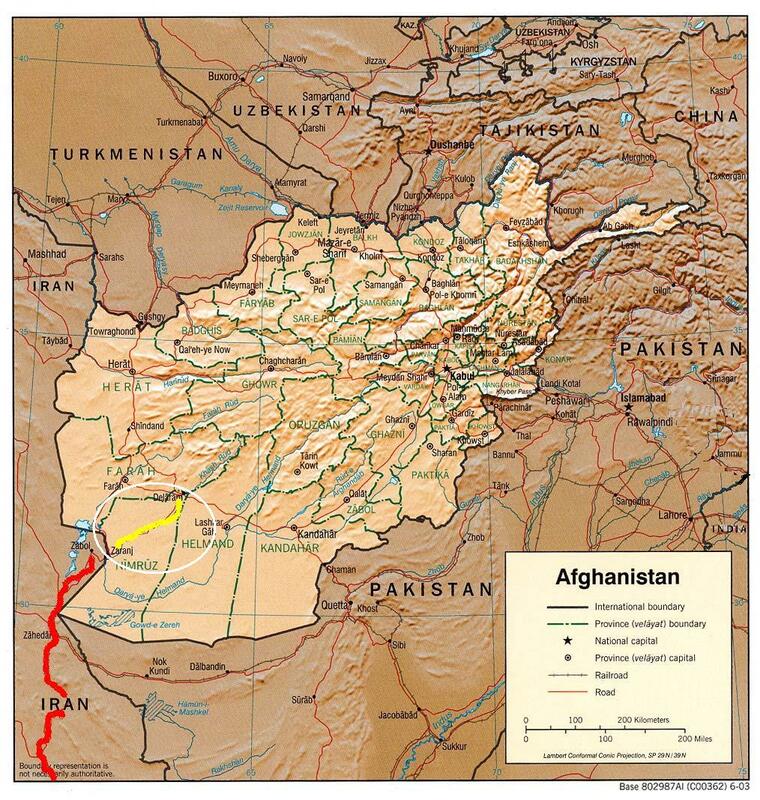 Not only Central Asian states would benefit from it but India would also get access to the Afghanistan. Russia and China would also have an attractive route available as well. 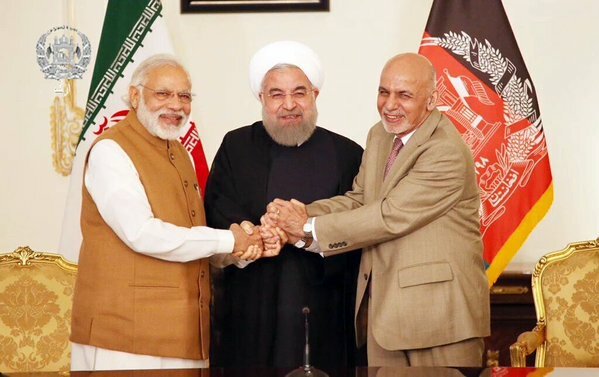 All these discussions started after the signing of the deal between Afghanistan, Iran and India on 24th May 2016 for construction of trade route via Chabahar port. The Indian sponsored journalists claimed this trade route to be the safest route for the whole world and made false claims in favor of this route. After such analysis the concerns from Pakistani side over Chabahar were natural. In this situation I would like to pay tribute to Narindra Modi who succeeded in securing the attention of the whole world through his posturing tactics by giving a new dramatic color to the old deal. Even Indian analysts and political rivals accept him as great actor, deceitful and expert in exploiting the happenings in order to improve his political importance. One can expect anything from him which he may exploit in his favor through propaganda. From massacre of Muslims of Gujarat to Defense deals with USA, all yielded benefits for Modi to gain personal fame in USA and West; what India gained from all this, Modi damn cares. The cunning Modi knows that international leaders are forced to do what he likes due to their greed for access to Indian markets otherwise the deal for construction of Chabahar port have been already signed between India and Iran in 2003. After Musharraf singed deal for construction of Gwadar port in 2002 and the details for the trade route from Gwadar to Xinjiang came out, two important changes occurred in the region. 1) In order to stop the construction of Gwadar and expected trade route, ant-Pakistan strategies and conspiracies were chalked out for which militants from Balochistan were provided with weapons, training and money. The politicial Indian hired elements from Balochistan claimed that Gwadar port would decrease the status of Baloch to “Red Indians” and construction of Gwadar port was posed as an attempt to deprive the Baloch from their basic rights by Pakistan army. In the name of the protection of the rights of Baloch people, terrorists started sabotaging passenger trains (killing Baloch people journeying through a cheaper source of travelling), govt. and military installations, public transport, Gas and Power transmission lines etc. India arranged seminars in the favor of militants claiming them as separatists in different countries of the world and raised the issue in the US Congress through lobbying of US members of Congress. In contrast to this, keeping in view the strong inclination of people of Khyber Pakhtun Khwa (KPK) towards Islam, a different strategy was devised and foundation of the Tehreek Taliban Pakistan (TTP) terrorists was laid. These terrorists started their activitieis in the areas from which trade route had to pass especially Chitral, Dir, Malakand, Sawat etc. After this terrorism was gradually spread in to the whole Pakistan. 2nd development in the region was that India and Iran signed the deal for construction of Chabahar port in 2003. According to the deal, India had to provide the investment and Engineering services. 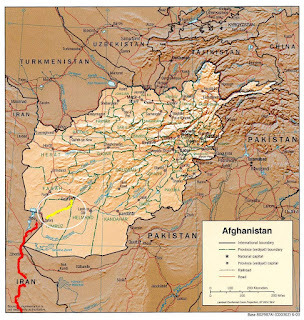 Afterwards, it was decided to link this port via a double lane road to Central Afghan “Ring Road” at the point of Dalaram. This road is 600 km long, more than the half of the road is located in Iran while rest in Zarang city of Afghanistan. The part of road located within the Afghanistan (218 km) was constructed by the Indian investment and posed it as a gift for the Afghan people. On 22 January 2009, during a big ceremony said road was handed over to Afghan officials in which Parnab Mukherji represented India. Afghan President Hamid Karzai and Parnab Mukherji said the approximately similar words what has been repeated in the ceremony few weeks ago at Tehran about the Chabahar Port. As Modi was not in power at that time so the details of the ceremony were not exploited as propaganda however, this plan was badly criticized in India because India had to pay heavy money to Taliban Commanders active in the area for construction of the road. Moreover, since completion of the road, it is not possible to travel on the said road without the formal permission of the Taliban and similar situation prevails even now. 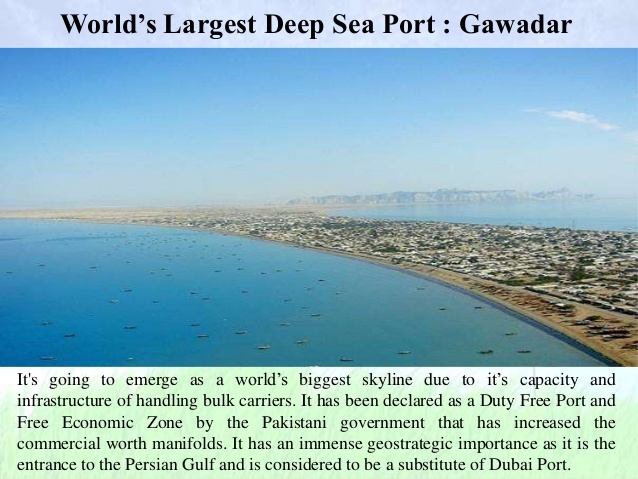 As long as the Chabahar is concerned, it cannot be compared to Gwadar Port because naturally the depth of Gwadar Port gives it superiority over Chabahar Port. It is not possible to transport fuel from the Chabahar port. Keeping in view the depth of the sea at Chabahar, ships weighing 2000 to 2500 tons can be docked at this port. Moreover, the Berths of Chabahar are not capable to handle the different categories of the ships at the same time. However, Central Asian states can use this port for trade leaving aside the fuel. In contrast to this, the ship filled of 52000 ton wheat from Canada was docked at Gwadar port in 2008. 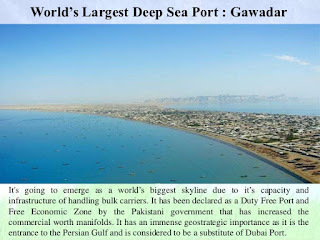 According to the experts, due to the construction of the Berths of Gwadar on the natural sea depth the oil tanker ships weighing 500,000 tons can be easily docked. 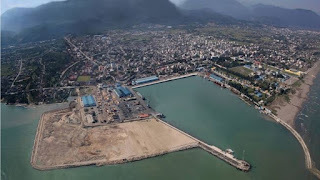 Being a neighbor, Iran can also benefit from this port. Iran may construct Oil Refinery within Gwadar and increase its oil sales which will result in the development of the whole area. But this is only possible when both neighboring countries present in the East of Pakistan stop seeing Pakistan with the eyes of India and determine not to allow use of their land against Pakistan by India. They will have to adopt a universal and mutual policy of peace and development in the region. Otherwise, Pakistanis are still wondering that in 2003 the deal between Iran and India was finalized for construction of Chabahar port and in 2003, RAW opened its office in Chabahar for armed interference into Balochistan. Was Iranian govt. active in every way was unaware of the activities of the RAW; if this is so than what was Taliban leader doing in Iran? While Internationally until now only Pakistan is blamed for hosting Taliban and demanded to DO MORE. However, now the time has come that the countries of the region stop pulling each others legs and playing in the hands of India for establishment of nexus against Pakistan. They will have to chalk out a universal policy for peace and development for all neighbors and get rid of US imperialism.